The Downsview Park GO Station is a unique project in collaboration with the TTC and their Toronto-York Spadina Subway Extension. 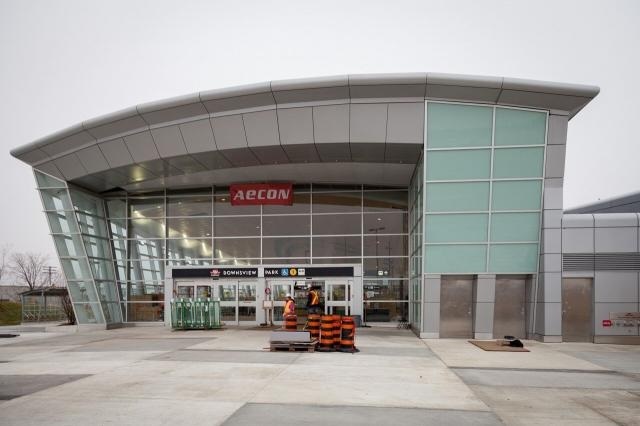 GO Transit and the TTC are collaborating on the new Downsview Park Station, which will allow customers to transition between subway and GO train service, much like they do at Union Station. Located just west of Sheppard West and Chesswood Drive on the Barrie corridor, GO train service will be above ground and subway service below ground. The station will be fully accessible and will include elevators, escalators, ramps and other features necessary for customers to travel with ease throughout the station. A public concourse will be built below the rail to facilitate customers transferring from GO to TTC service. GO will have its own station integrated into the subway station, which will consist of a 12-car platform with a snowmelt system, heated shelters, bike shelter, an accessible platform and a GO ticket sales booth. We plan to start GO Train service at Downsview Park Station in late 2017 to coincide with the start of service on the Toronto-York Spadina Subway Extension. Note that Downsview, TTC’s current line 1 terminus station at Sheppard West and Allen Road, will be renamed Sheppard West.